Build the #1 Real Estate Team in Your State! Everything You Need to Build the Dominant Real Estate Team in Your Market and Net Over $1 Million Every Year is Right Here in the Certified Team Agent Course. 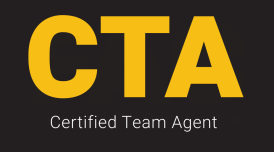 The Certified Team Agent certification will help team leaders and individual agents at every level discover the power of leverage by following the CEO model and systematizing every aspect of their business. In this course, Jeff Cohn and Pat Hiban give you an in-depth look at how Jeff built his nationally-ranked team - going from 80 transactions to 600+ transactions in only five years! Jeff shares all of his secrets in and around the creation, implementation, accountability, and strategies that net him over $1 million a year without ever having to go on appointments or deal with clients. "Stepping out of the day-to-day role of servicing clients and focusing our efforts on helping make other agents successful by offering them an incredible culture, leads, accountability, and ongoing coaching & training has been the ultimate game changer. Anyone is capable of doing this at some level!" You will not find another course with this much depth of content and high production value which gives you the exact information, systems and tools you need to create a world-class real estate team. Invest in yourself and your team with the Certified Team Agent course from Pat Hiban's Rebus University. 30 Day Risk-Free Money Back Guarantee - If you’re not satisfied for any reason, you have my word that I will refund you what you paid. Must have course for brokers/agents that value being on a team to support and grow their real estate business. Teams are where it is at in Real Estate, whether you are an individualistic, co-operative or competitive team player! 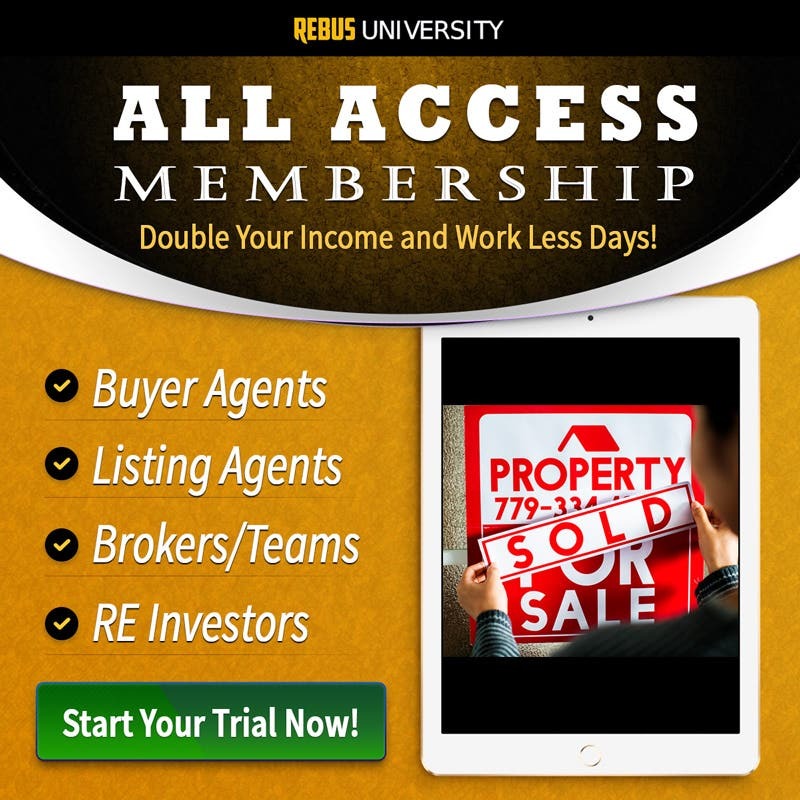 The Certified Team Agent course from Rebus University gives you an inside peek into so many things that you need to know as a team leader but was too busy to get around to. The access to Omaha's Elite is unparalleled and it allows you to model the processes that will work for your team right away. The course presentation is streamlined and easy to get through at your own pace, but once you get started you won't want to stop. The second I finished the course I knew my team will never run the same again, it will run better and we will be able to grow much quicker with this knowledge. The content of this course is amazing! The CTA course is a deep dive into the systems and mechanisms that make Omaha's Elite Real Estate Group work. Anyone considering building a team and taking it beyond where the "common team" operates today, should definitely invest here. What is especially effective as you work though the material is its broken down into very bite sized segments with a short test at the end of each segment. Clearly a lot of thought was put into the delivery of this program thus making it a much more effective learning tool. I can't recommend it high enough, 6 stars!! Absolutely loved this course. Jeff and his team walk us through step-by-step how he built his incredibly successful team over the past 3-4 years. He and his team share so many great behind-the-scenes tips and tricks to building and managing an incredibly successful team. Loved the culture aspect, providing agents with excellent training, 1on1 coaching and accountability while providing a fun and exciting environment to thrive in. Can't recommend this course enough. This course is fantastic! It's filled with real time conversations that highlight the proper way to structure teams and how to train and educate the various team members to make sure your team is delivering a high level of accountability and service to your buyers and sellers. The actual forms Jeff uses are shared and are gold. Each part of the course is crafted with nuts and bolts of each aspect of running a team at a high level! Great job Pat and Jeff and I love being a fly on the wall during all the meetings you hold. Building a team is now within the grasp.